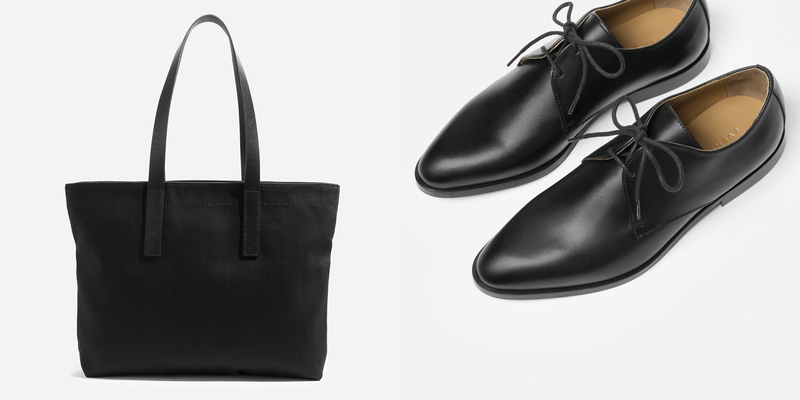 Everlane is one of my favourite places to stock up on staple pieces. They're currently offering international shipping during November so, if like me, you don't live in the US but want to get your hands on some Everlane pieces now is the time. I already own several basics from their range; I thought I'd share with you the pieces I own, what's on my wishlist, and my favourite picks for winter if you're curious about what I recommend buying! 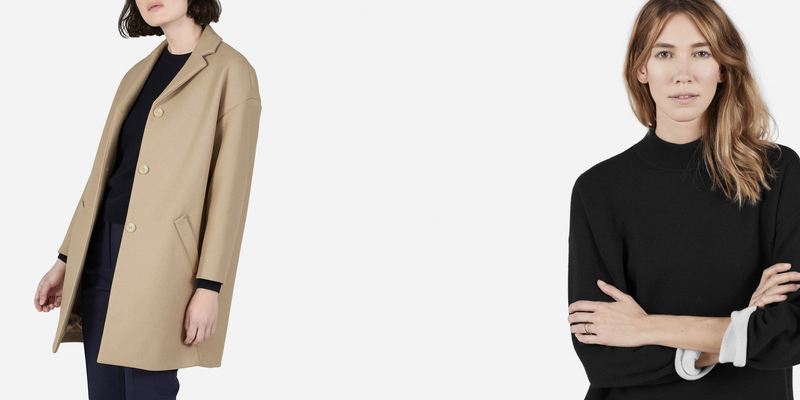 A traditional wardrobe staple, the Everlane Swing Trench features an A-line silhouette and cropped cut making it the modern take on a classic. Lightweight and water-resistant, it's an ideal transitional piece; not great in the depths of winter but perfect for blustery days with infrequent showers. The crew sweatshirt is a true wardrobe basic; easy-to-wear and made from 100% cotton, it's one of those "everyone must have one" pieces. In my opinion, it doesn't have a "relaxed fit" as described on the website; I bought this in a size small and it has a standard fit so I'd recommend sizing up for a true relaxed style! I love the style of the artist smock - dolman sleeves, back yoke with single box pleat, and a shirt-tail hem - however, I purchased the wrong size and it doesn't fit me properly. It's most likely destined for eBay (unless anyone wants to buy it?) which saddens me. The cotton poplin shirt dress is one of those easy pieces you can dress up or down, wear in winter or summer, and makes you reach for it every chance you get. I love this dress, I wear it all the time. It has an oversized fit, drop shoulders, and hits just above the knee; it's so flattering on and the colour is a rich navy so adds that extra bit of colour to my typically all-black wardrobe. When a backpack is a little too casual, the twill zip tote is an ideal substitute. I take this to the studio for work and to the market for shopping; I can cram everything into this bag, and more. It's reliable, sturdy, and looks smart as hell. 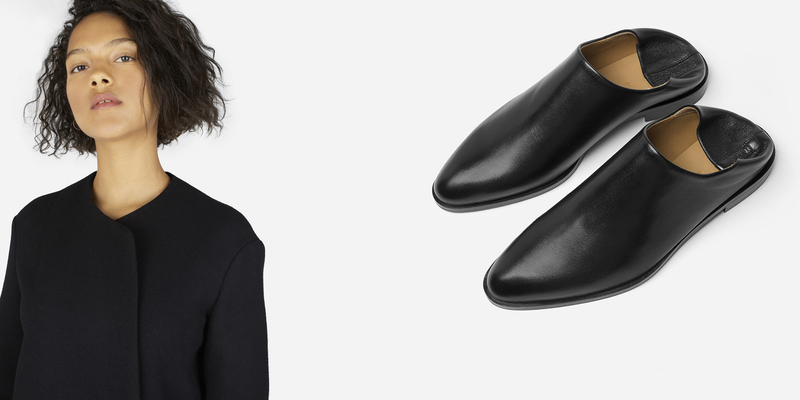 The modern oxfords have a tapered toe and slight heel so they're comfortable to wear and a smart alternative to heels. If you're thinking of buying a pair, bear in mind they take a little breaking in and run narrow so size up accordingly. I love the cotton poplin shirt dress so much and the v-neck version is such a stereotypically "me" dress I can't resist adding it to my wishlist. It fits oversized with a notched V-neck, and mid-length sleeves, I can see this slotting into my wardrobe like a dream. I am this close to pulling the trigger on purchasing the square cardigan. I don't own a single black cardigan (how did that happen?) and it's a piece my wardrobe is sorely missing. I love the shape of this one: the square silhouette, the lightweight sheer material, the tapered sleeves - it's got my name all over it. If there's one piece I would buy, it's this one. I do not need another coat but if I did.. it's the unstructured coat. It has such a beautiful classic style paired with a modern fit; drapey and oversized, double-faced and made from 100% wool, this coat was made from wearing in winter. With two ways to wear these shoes, the modern babo has a versatile style that looks chic with minimal effort, which is exactly what I look for in fashion. I love the loafer/slider combo and minimal style - I'd love to get my hands on a pair of these! Looking to stock up your wardrobe with new pieces? 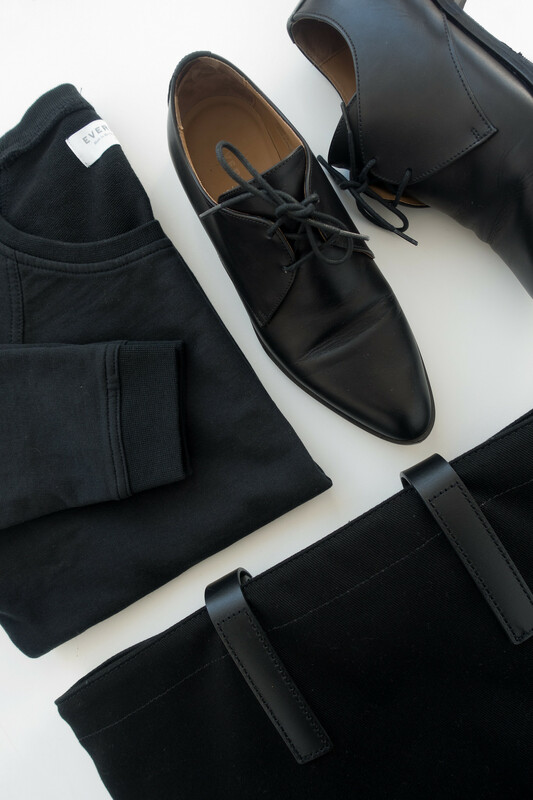 Here are my picks for a cosy winter wardrobe from Everlane. I tried to cover all bases including a thick coat, knitwear, sturdy shoes and a backpack to cope with getting things done even on the coldest of days. I love the colour of this cocoon coat, it's available in three colourways; made from a wool and polyamide mix with a relaxed fit so you can layer up without bulking up. Another layering piece, the double-knit mockneck sweater is a staple piece for your wardrobe. It has an oversized fit, low hem, and ribbed neck that makes it the ultimate "throw on over everything" basic for winter. When it's raining and you've got places to be, a solid carry-all backpack is a must-have. Everlane has several backpack options, my favourite is the dipped version with a padded interior for your laptop and exterior zip pocket, plus it's waterproof. 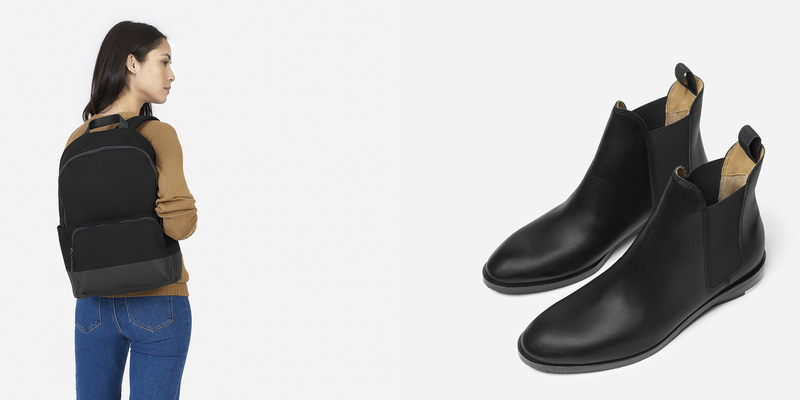 These heavy duty Brixton boots will have you clomping through the leaves and snow, no problem. Will you be buying anything from Everlane?